Featuring pore sizes from 300–600 Âµm and relative density of around 37%, Microporous Copper Foam is produced by means of lost carbonate sintering process. Rigid, highly porous, and permeable structure is regular and uniform throughout, and provides controlled density of metal per unit volume. 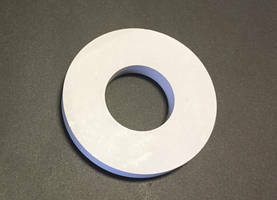 Supplied in disks and sheet ranging in thickness from 4–10 mm, foam is suited for liquid cooling, air cooling, heat exchangers, EMI shielding, and power electronics applications. Coraopolis, PA ... Goodfellow offers a new copper foam with pore sizes between 300 and 600 µm and a relative density of around 37%, providing a much higher surface area than traditional copper foams. This microporous material is expected to be of particular interest to design engineers working in fields requiring heat exchange. Microporous copper foam is unique in that it is produced by means of a lost carbonate sintering process. 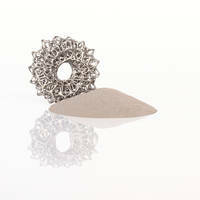 Pure copper powder is mixed with a carbonate powder, compacted and sintered. 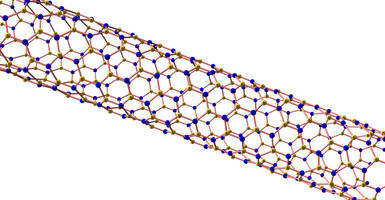 This forms a matrix of copper ligaments, in between which is the carbonate powder. 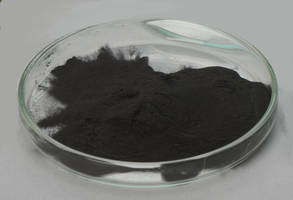 After cooling, the carbonate is dissolved away in water and recycled or decomposed using heat. The resulting structure is regular and uniform throughout, giving a rigid, highly porous and permeable structure with a controlled density of metal per unit volume. 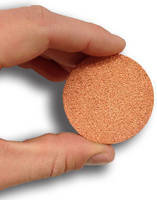 Goodfellow supplies microporous copper foam as disks and sheets ranging in thickness from 4 to 10 mm. Other thicknesses may be available upon request. For more information about microporous copper foam from Goodfellow, call 1-800-821-2870, email info@goodfellowusa.com or visit the online Goodfellow Catalog at goodfellowusa.com.